Fr. Faber inspires here a reverential awe and love for God's greatest work, the compendium of all miracles, and Queen of the Sacraments. Affirms that the Blessed Sacrament is the picture of God, the Magnet of souls and the very life of the Church. Includes great insights into the Theology of Transubstantiation (a doctrine often denied today), and describes Our Lord's Five Eucharistic Sufferings and the reparation we should make. As usual, Fr. Faber ranges over the entire Catholic Faith in this work, enlightening our minds and inflaming our souls with a more deeply Catholic outlook on life. 463 Pp. PB. Impr. 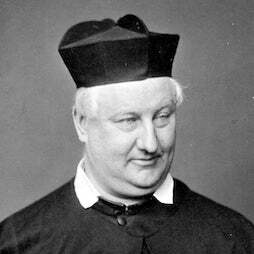 Father Frederick Faber was a noted English hymn writer and theologian, who converted from Anglicanism to the Catholic priesthood. His best-known work is Faith of Our Fathers. Though he was a Roman Catholic writing for fellow Catholics at that point, many of his hymns today are sung by Protestant congregations.